Sano’s glucose tracker. Image Courtesy Hyper Wellbeing. Since launching in 2011, Silicon Valley healthcare startup Sano Intelligence has kept a low profile. Despite raising $20 million in venture capital, the company founded by ex-Bain Capital analyst and bioengineering grad Ashwin Pushpala has yet to release its product—a continuous glucose tracker that sticks to a users’ skin and monitors blood through an app. 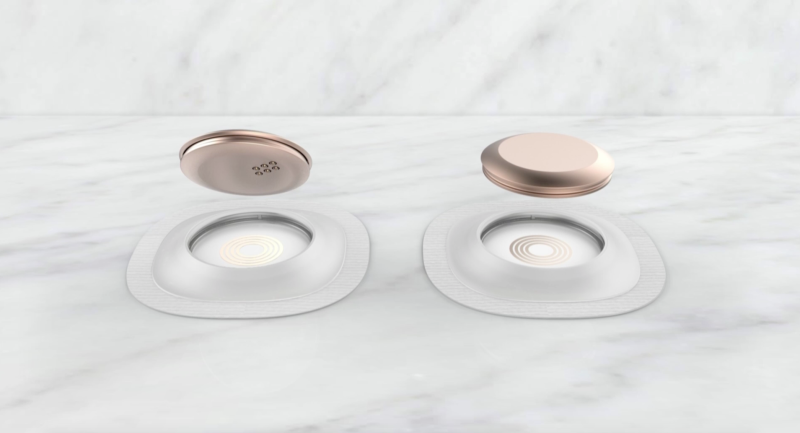 Gizmodo has obtained new details about the device, and how the company intends to market it as a product for “metabolic insight” for non-diabetics, rather than to diabetics who regularly need to track their glucose. The strategy means Sano doesn’t need FDA approval, but doctors and diabetes experts interviewed by Gizmodo question whether the product would have any benefits to non-diabetics at all. A slide from the Sano presentation explaining the device. Image Courtesy Hyper Wellbeing. Those microstructures on the bottom of the patch sense interstitial fluid to calculate blood sugar. Then, as Pushpala explains it, the patch “senses metabolic data” (glucose concentration) and transmits it to the app; the “raw” data is then sent to the cloud and analyzed. Then, the app would provide “personalized metabolic insights in real-time” and would help users “stabilize sugar concentrations.” Tracking glucose levels throughout the day would allow users to see how different things they eat affect their blood sugar levels and metabolism, Pushpala claimed. Continuous glucose monitors (CGMs) have already existed for 15 years and are used widely by diabetics—people whose bodies either don’t produce insulin or don’t use insulin properly, which can lead to abnormally high and low blood glucose concentrations, necessitating regular monitoring. There are products on the market made by Abbott, DexCom and Medtronic. They require daily calibration to make sure they are accurate, generally involving a finger prick test with a standard glucose monitor. Pushpala maintains the Sano device doesn’t need external calibration. As medical devices, the CGMs also require FDA-approval, while over-the-counter tracking products, such as a FitBit, do not. While Sano hasn’t begun to seek FDA approval, it plans to in the future, but before it does, it plans to launch as an over-the-counter product for people without diabetes. A slide from the Sano presentation. Image Courtesy Hyper Wellbeing. As Pushpala noted in his presentation, CGMs are currently sold to people with type 1 diabetes (which accounts for roughly 5 percent of cases and develops in children and young adults) and type 2 diabetes (which can develop at any time, and is influenced by diet and lifestyle). In the talk, Pushpala said that Sano wants to expand the current glucose testing market to new “masses” and “treat these folks like consumers”—“preventative” groups of people who are not diabetic, with a focus on those who are “overweight” and “pre-diabetic.” According to Chantelle Darby from Sano’s public relations, the company will also target “a variety of folks” and “the weight loss management, the fitness crowd will be our focus.” Sano’s freshly updated website makes it seem like a wellness aid for diet and fitness. “[Sano’s product may be] a little bit more sophisticated than quackery—I’m sure there’s some fantastic technology that underlies it—but even if you had a exquisite measure of glucose, it wouldn’t tell you that much,” Levitsky said. He said that to accurately monitor metabolism, how well your body burns energy to keep up basic functions, you need to know more information than just your glucose levels, including fat burned. Screenshot of Sano’s very recently updated website. Medical CGMs and maintenance can cost upwards of $3,000 out of pocket per patient per year, and are rarely covered by insurance for Type 2 diabetics. (These are high figures, especially considering that Type 2 diabetes disproportionally affects the poor.) In his presentation, Pushpala said Sano’s device would cost “a few hundred dollars” over the course of a year. Pushpala, however, may not be deterred by skepticism from the medical profession. With a masters in bioengineering from the University of Pennsylvania and a background in investing in tech companies at Bain, Pushpala was named in this year in Forbes’ Healthcare 30 under 30 list. His blurb notes how he thinks traditional preventative healthcare is “fundamentally wrong” in its approach, and Pushpala emphasized in his talk the strength of Sano’s team, which he said includes engineers from Apple, Google, Samsung and FitBit as well as researchers from Stanford and MIT. When Gizmodo asked for more details of the validation study, Sano said it had completed its first clinical test, a feasibility study that was not subject to peer review. It hadn’t determined when it planned to release the results and also has not begun nutritional trials. Sano told Gizmodo it plans to make its continuous glucose tracker available through beta release in early summer. *Corrections: Corrected description of type 1 diabetes to specify that it develops in children and young adults and not at birth. This piece originally stated the Sano device collects blood. It senses interstitial fluid, like other continuous glucose monitors. Update 6:04pm: The piece has been updated to reflect that the company plans to launch the beta in the summer. Sano clarified that it intends to have its studies peer-reviewed before the beta launch.